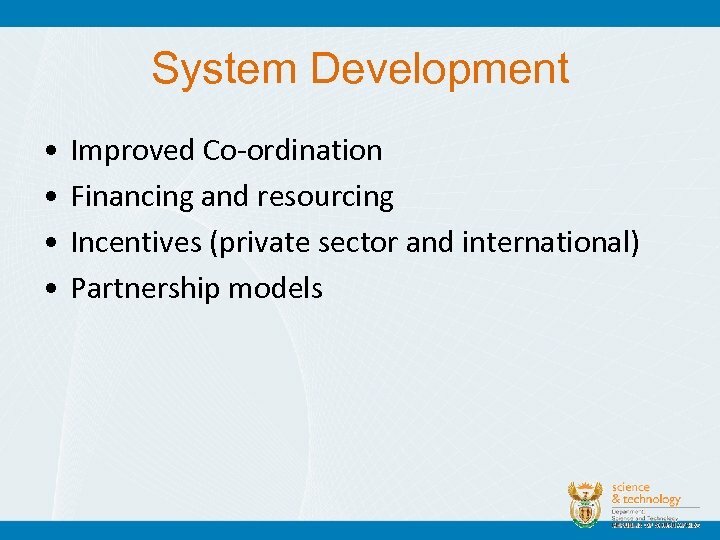 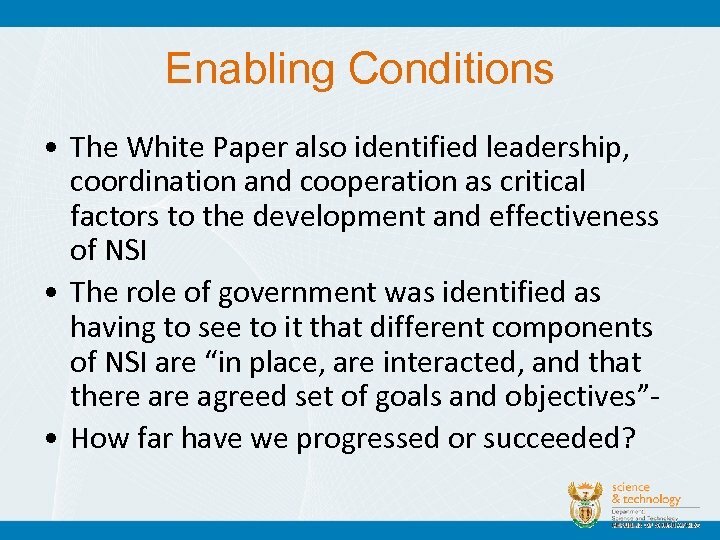 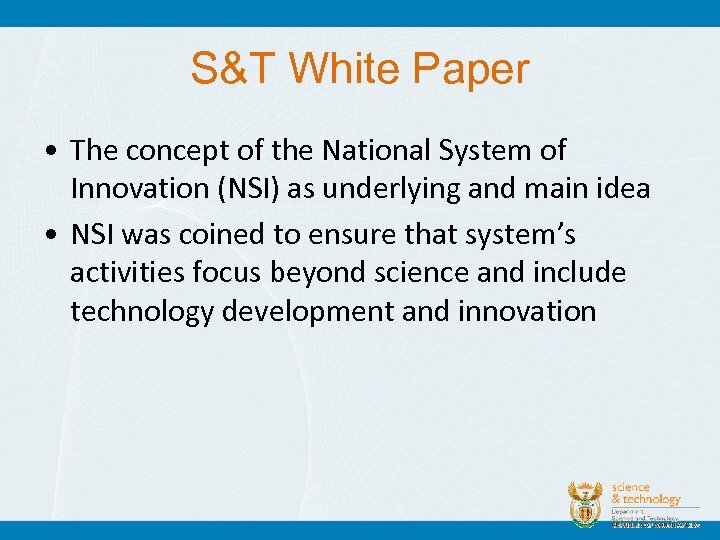 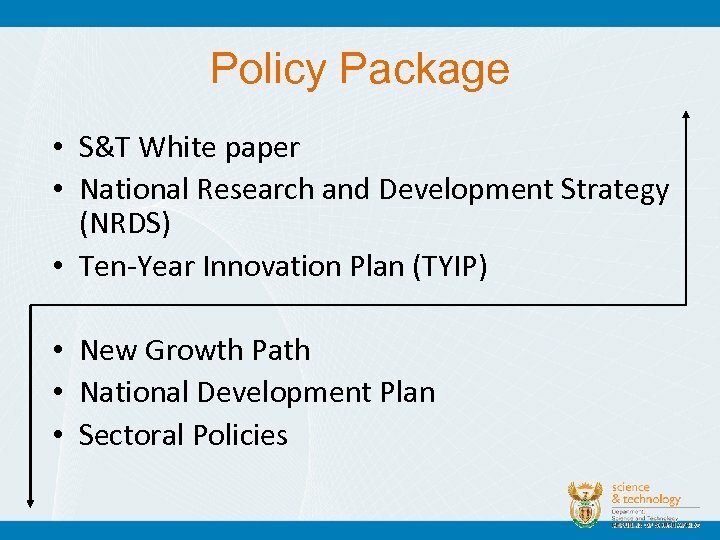 Enabling Conditions • The White Paper also identified leadership, coordination and cooperation as critical factors to the development and effectiveness of NSI • The role of government was identified as having to see to it that different components of NSI are “in place, are interacted, and that there agreed set of goals and objectives” • How far have we progressed or succeeded? 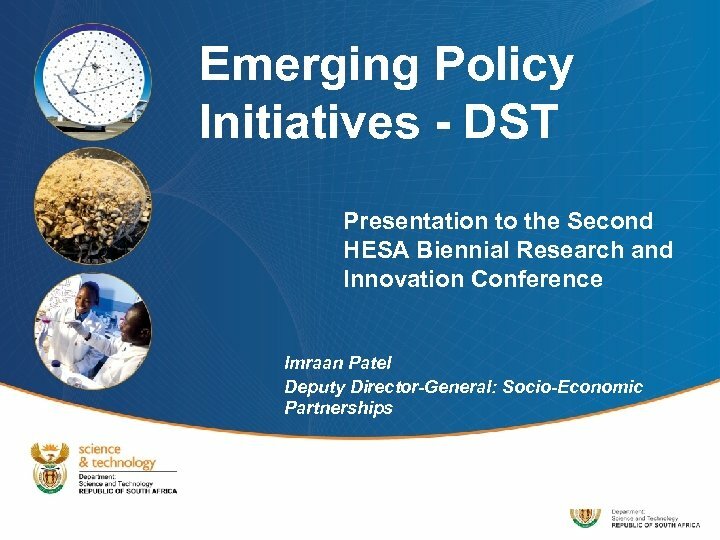 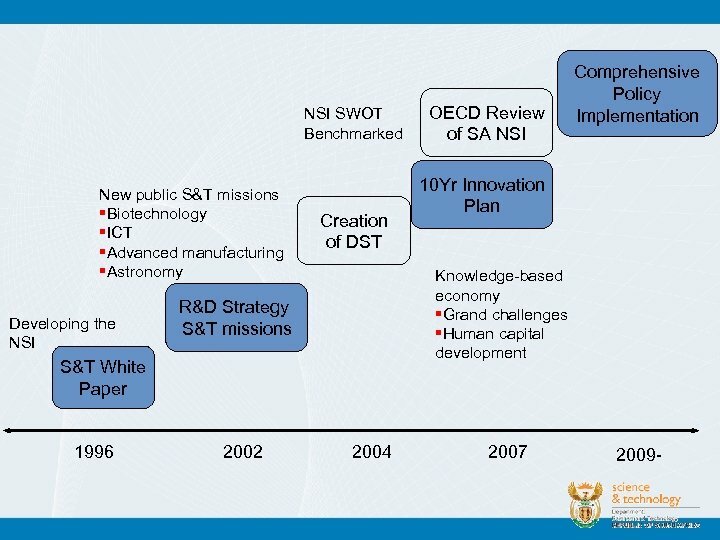 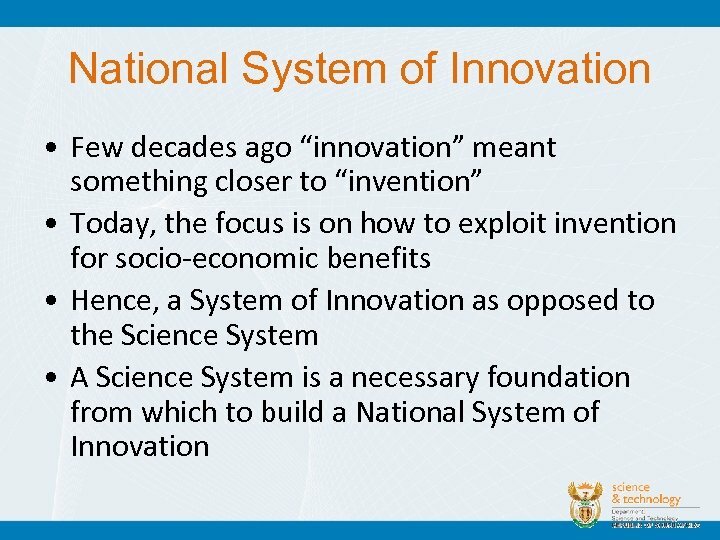 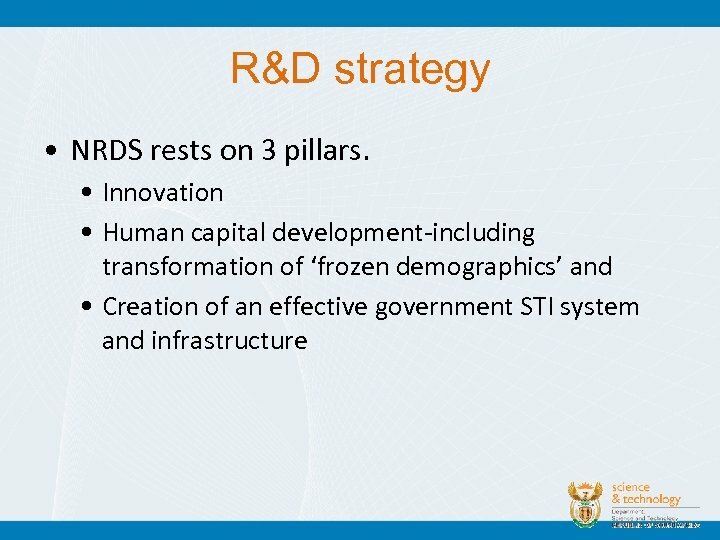 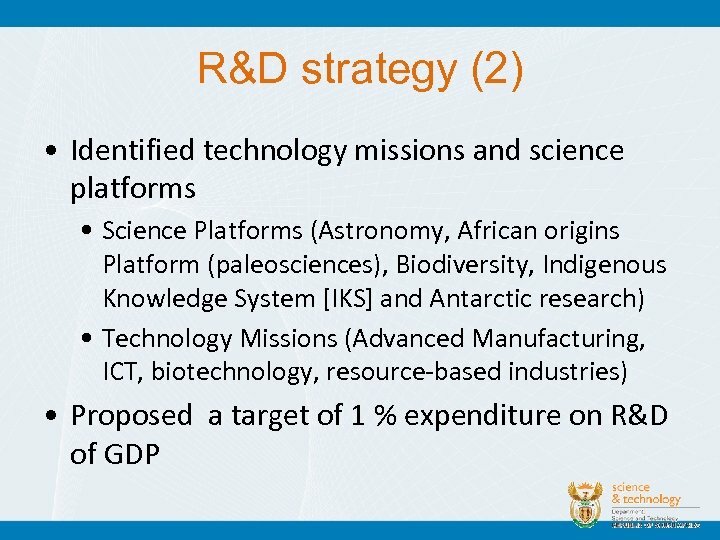 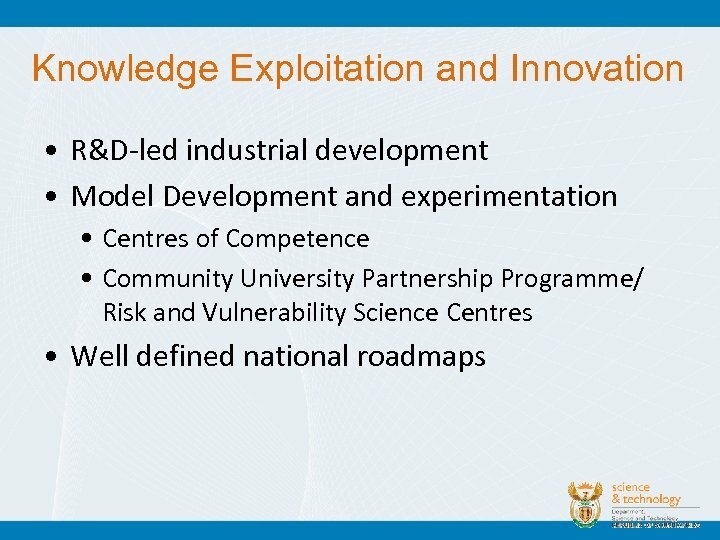 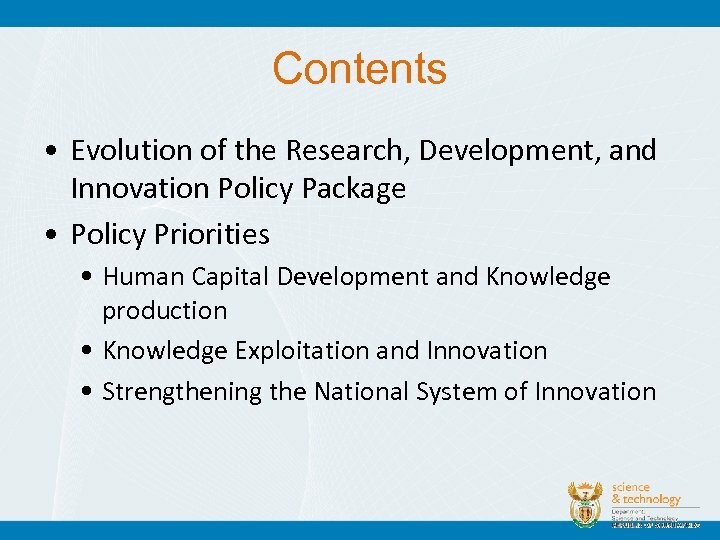 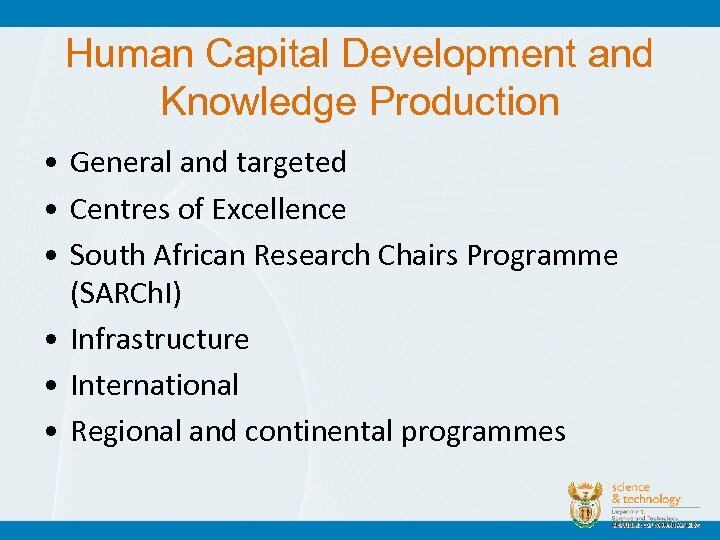 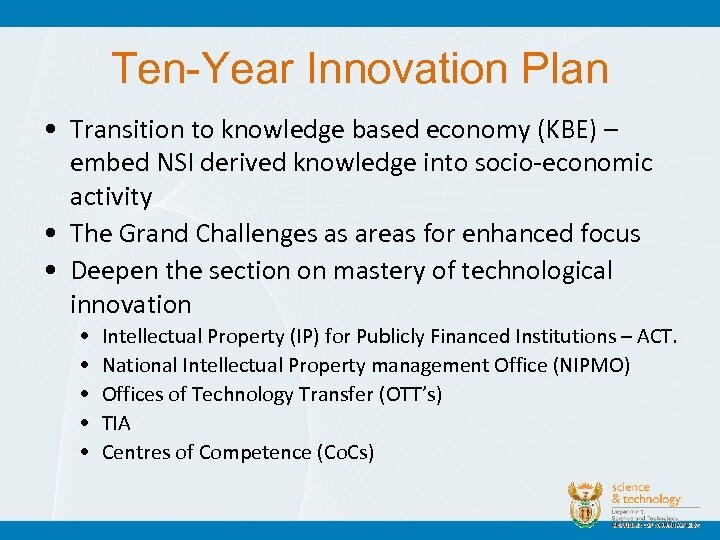 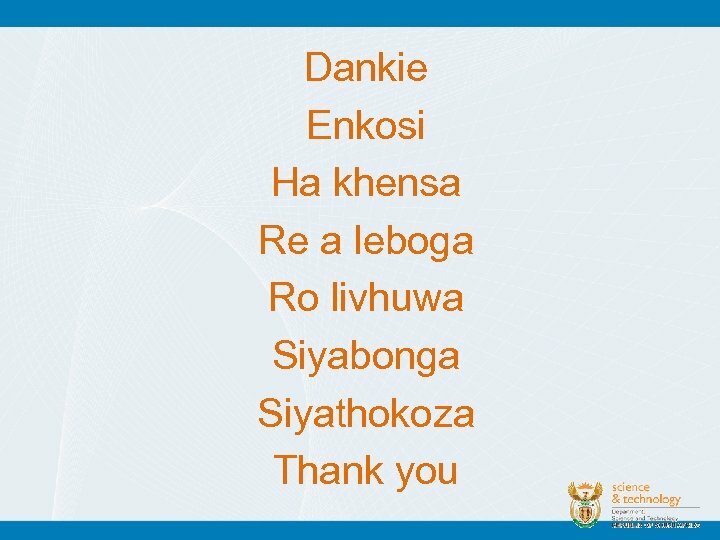 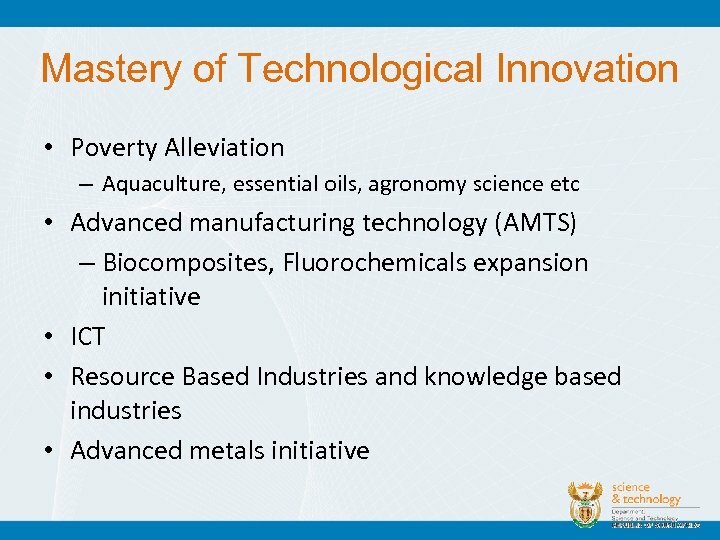 Mastery of Technological Innovation • Initially, DST put the following building blocks: • Innovation Fund. 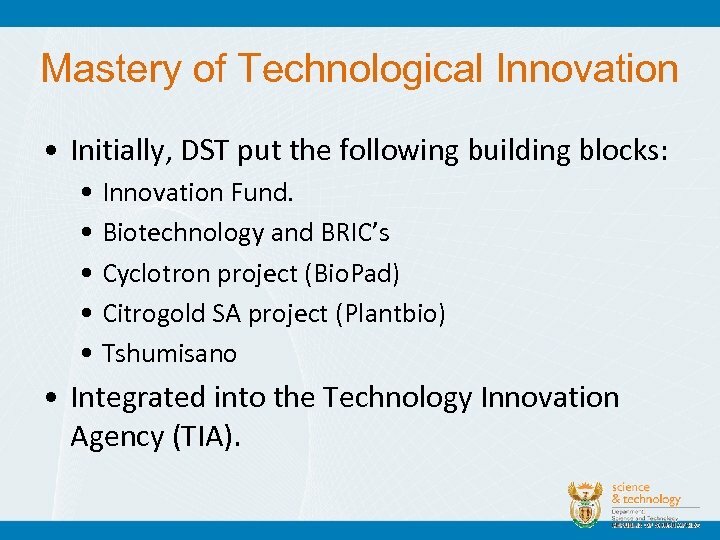 • Biotechnology and BRIC’s • Cyclotron project (Bio. 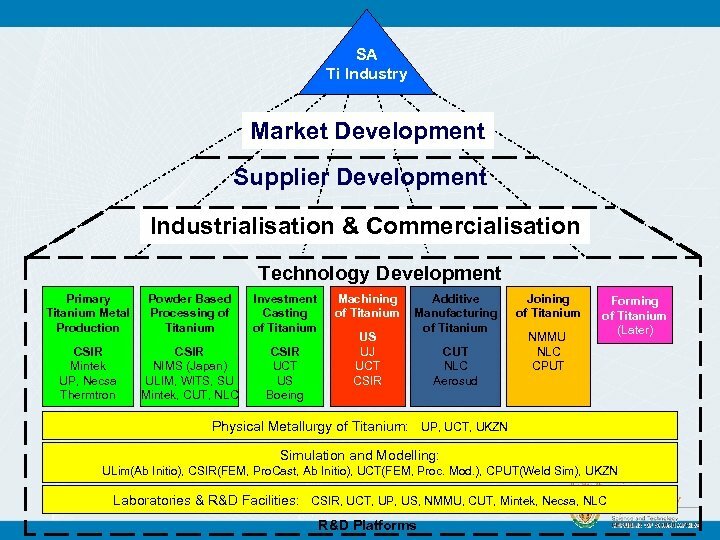 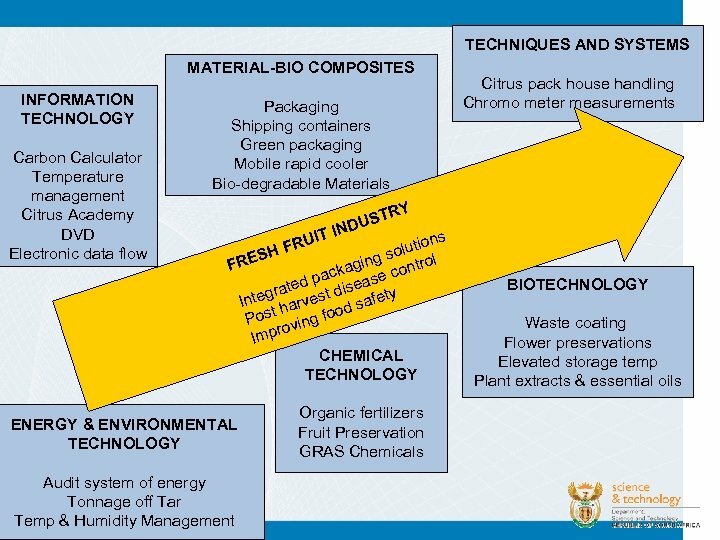 Pad) • Citrogold SA project (Plantbio) • Tshumisano • Integrated into the Technology Innovation Agency (TIA). 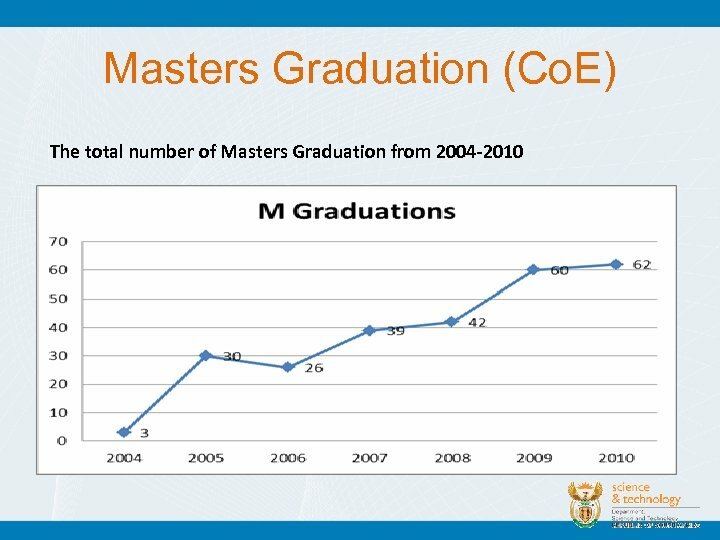 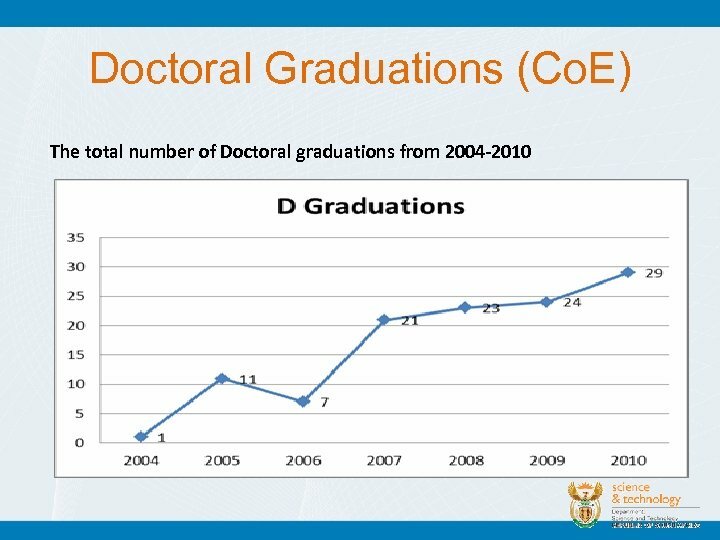 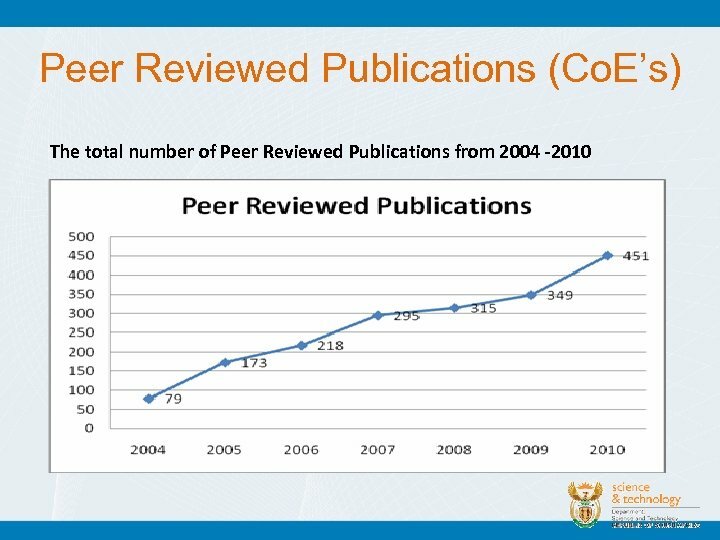 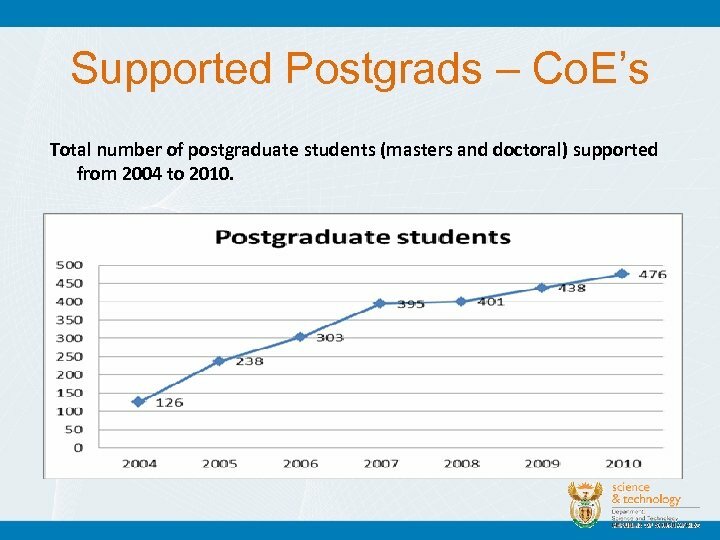 Supported Postgrads – Co. E’s Total number of postgraduate students (masters and doctoral) supported from 2004 to 2010.